The Catalyst Cryohelmet is an innovative and remarkably convenient tool for applying long-lasting, soothing cooling to your head and neck. Icing your head is known to alleviate migraine and headache pain and promote sleep, and users of the Cryohelmet overwhelmingly report that they experience relief after 30-45 minutes of use. 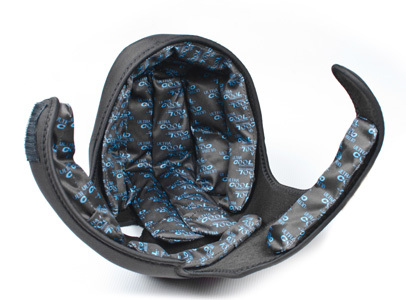 The Cryohelmet is completely portable for use at home or on the go and the integrated cold packs can be repositioned for a personal and custom fit. ● Catalyst cold packs are reusable and long-lasting. Recharge in household freezer overnight. ● UltraCool™ fabric is moisture wicking and dries quickly. ● Insulating neoprene shell (contains no natural rubber – latex free). ● Features drawstring adjustment for better fit and better thermal transfer. ● All parts are machine washable, line dry. ● Domestic and international patents pending.